Iceland's parliament has passed emergency legislation to try to salvage the country's banking system. 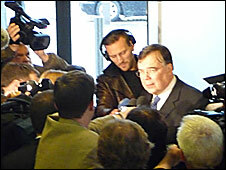 In a televised address to the nation, Prime Minister Geir Haarde said the legislation would help the island avoid national bankruptcy. Iceland will also offer an unlimited guarantee for all bank customers' savings accounts. The moves come after trading in six of Iceland's biggest banks and financial firms was temporarily halted. Banks dominate Iceland's economy, leaving the island of just 300,000 people heavily exposed to the global credit squeeze. Under the legislation, Iceland's financial regulator will have wide-ranging powers to dictate a bank's operations and could even force it to merge with another company or declare bankruptcy. The bill will also allow the government to take over housing loans held by the banks and put in a government fund. "We were faced with the real possibility that the national economy would be sucked into the global banking swell and end in national bankruptcy," Mr Haarde said. "The legislation is necessary to avoid that fate." Before the legislation was announced, Iceland's financial supervisory authority said it had decided to temporarily suspend trading in the three biggest three banks - Kaupthing, Landsbanki and Glitnir - and three other financial groups, Straumur-Burdaras, Exista and Spron. The regulator said it had suspended trading to protect investors' interests while waiting for a government announcement on its rescue plans. Icelandic banks and companies have provided financial backing for a number of UK businesses and, as such, problems in the Icelandic banking system could have a knock-on effect in the UK. Kaupthing has invested in pubs group Mitchells & Butlers and department store Debenhams. And Icelandic retail group Baugur owns UK stores such as Iceland, Hamleys, Oasis and House of Fraser, although Baugur has said that it is unaffected by the current situation in Iceland. Under the legislation, the country's largest banks have agreed to sell off some of their foreign assets and bring them home. This money will be brought back into Iceland, in an effort to shore up the economy and prevent the currency, the krona, from sliding any further. Last week, it lost a fifth of its value against the dollar and on Monday it plunged 30% against the euro. 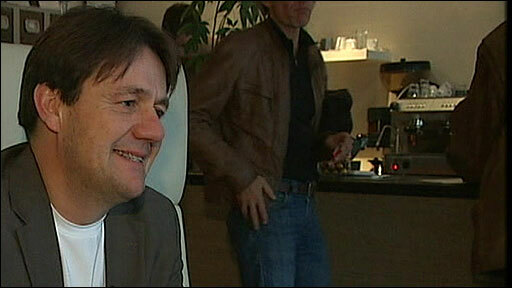 The legislation came after frantic weekend talks with political, financial and trades union leaders. The government also wants the trade unions to return a sizeable portion of their foreign-invested pension funds to Iceland. To help stabilise Iceland's troubled economy, the unions are also being urged to agree to wage restraint, despite the country's inflation rate of 14%. Iceland's economy was traditionally based on fishing, but in the 1990s the banks boomed, expanding abroad and growing to several times the size of the national GDP. The government stepped in to nationalise Iceland's third largest bank, Glitnir, last week. The nationalisation led ratings agencies to downgrade Iceland's credit rating. Analysts have warned the troubled banking sector may be too big for Iceland to be able to save.